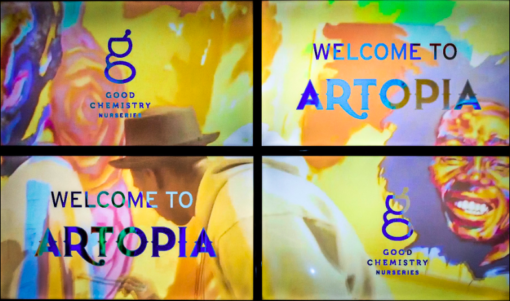 Good Chemistry’s Member Benefits program gives you unique access to the finest Cannabis in Colorado and special discounted tickets for fun events we sponsor each year. This year we’re a proud sponsor of Denver Westword’s ARTOPIA 2019, and if you’re enrolled in our Member Benefits program you’ll receive a promo code for discounted tickets to this amazing celebration of art, culture and fashion. If you’re not a member. Come in to any Good Chemistry location and sign up. On Friday, March 1, dozens of artists will fill The Church, painting, sculpting, performing, modeling and offering guests full immersion in the artistic process. Attendees will explore themed spaces while enjoying the sounds of some of Denver’s best DJs and musicians. This year, Artopia is celebrating decades of hip-hop culture and will have the DJs and dancers to match. Time: 7:00 p.m. until 1:30 p.m.